Number of Babka Eaten: THREE but from two different bakeries. After seeing Louie declare Russ and Daughters's babka as "the best thing I ever ate," I knew it was something I couldn't pass up. 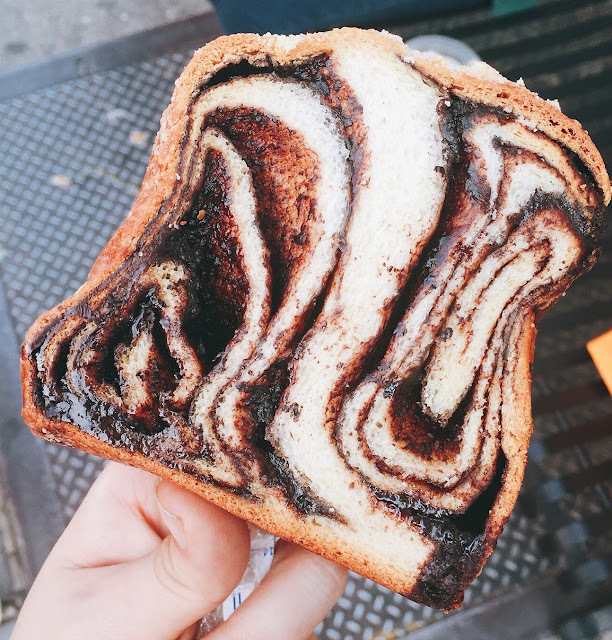 It had so many layers of gooey chocolate inside a soft bread. 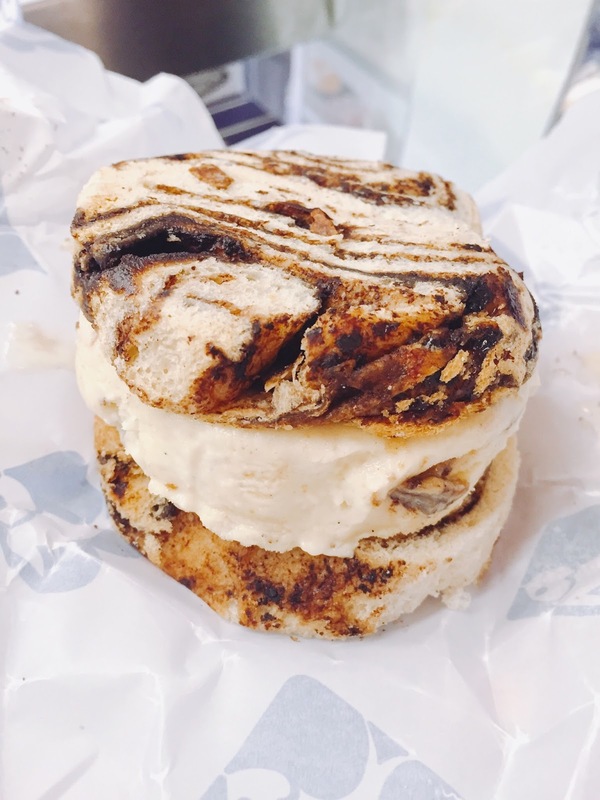 As if that wasn't enough, they also had a babka ice cream sandwich! We got a lead on another noteworthy babka via Instagram and tried out Breads Bakery's babka. We ordered their chocolate as well as cinnamon raisin. 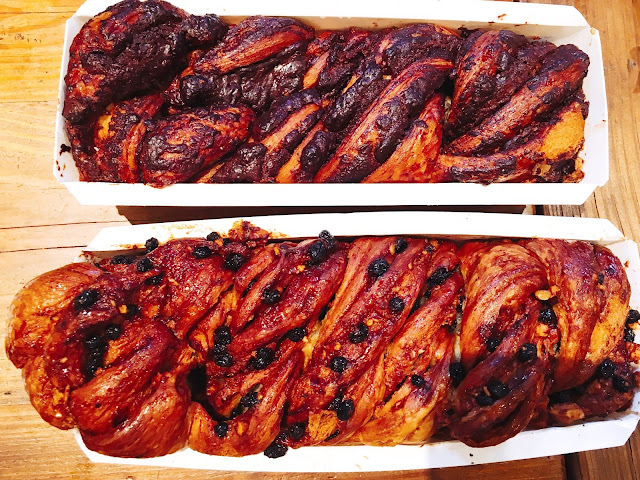 Not as wonderful as the R&D babka but I'm wondering if no other babka can measure up to their amazing babka. And they are now baking them in house! NYC Dog: One of the items on my must-eat list was a proper NYC hot dog, in particular, a Gray's Papaya hot dog, which is often hailed as the best in the city. 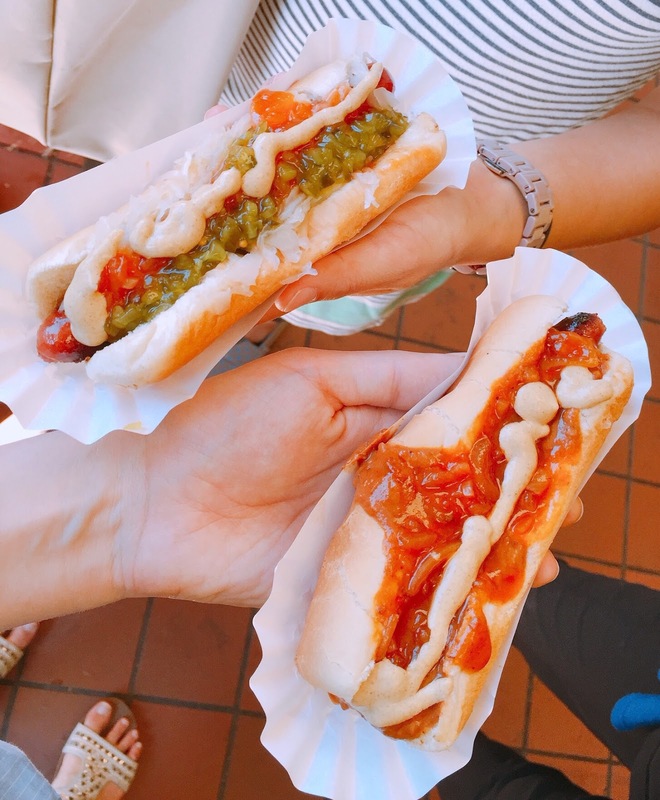 Mustard and sauerkraut are the usual toppings for a New York dog but we also ordered a chili dog. Simple yet totally delicious. Reunions: It seems as if no trip to NYC is complete without a giant, soft, gooey Levain cookie. I was also reunited with a Beard Papa cream puff. It's been years since I first sampled one. 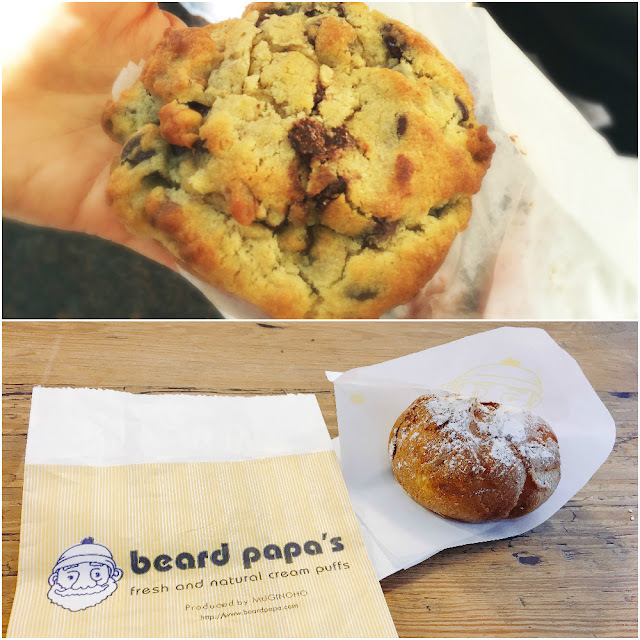 Please come back to Chicago, Beard Papa! 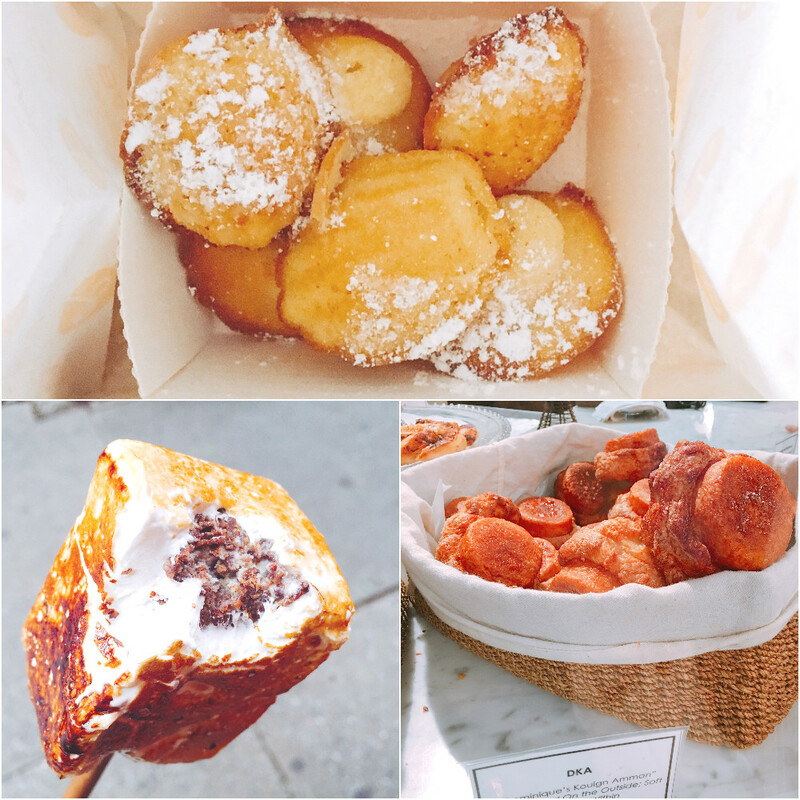 Bakeries: No cronuts were had at our visit to Dominique Ansel but we gobbled up freshly made, pillowy madeleines, buttery kouign amann, canneles and a made-to-order frozen s'more (inside a freshly torched marshmallow is vanilla ice cream wrapped in a chocolate cookie). Cupcakes: I had two bakeries on my radar that are NYC favorites. 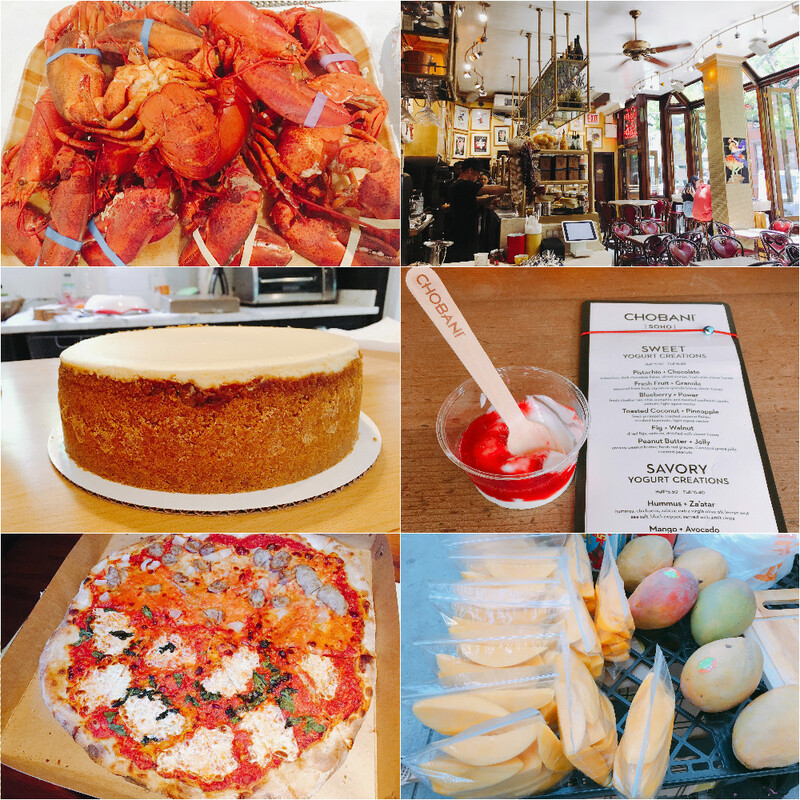 Two Little Red Hens was on most top cupcake lists and I even tried to visit the bakery three years ago to sad results. 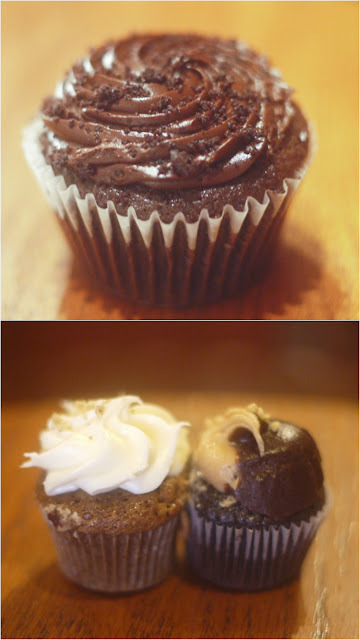 I ordered the popular Brooklyn Blackout cupcake (chocolate cake, chocolate pudding & fudge frosting) along with two minis: Peanut Butter Fudge and Carrot. The Brooklyn Blackout wasn't too sweet and the bites with the pudding filling were delicious. I just wish it had more depth of chocolate flavor. It was a good cupcake, don't get me wrong, but I had such high expectations going into it that I can't say it was as amazing as I hoped it would be. But the peanut butter fudge mini was by far the best of the three. Each cupcake is $4 and minis are $1.75. 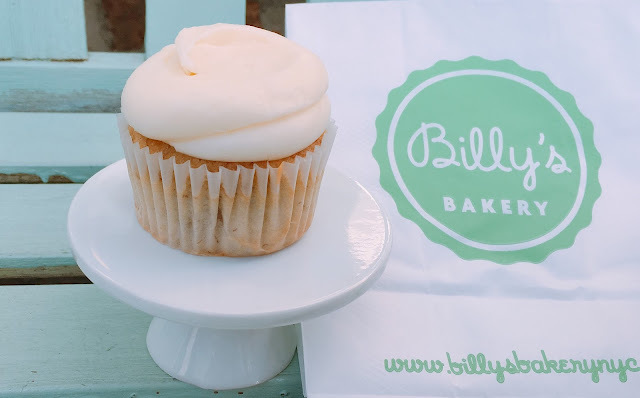 The second cupcake bakery we patronized was Billy's Bakery, another top cupcake bakery in NYC. I sampled their banana cupcake. Each cupcake is $3.25. This cupcake was even better than the Two Little Red Hens cupcakes. It was more banana bread than cake but still flavorful and a good combination of flavors between the cake and frosting. If I want to be super picky, the frosting was a tad too sweet. Overall, very tasty!